There are a lot of people in the world who would love to run their own business. Having spent a long time working for other people, the allure of taking things into your own hands can often be too much to ignore. Of course, though, when it comes to funding something like this, most people have no idea where to start. To turn this issue on its head, this post will be exploring a route which can help you to avoid it entirely, all by simply looking for ways to start your business for free. This can be remarkably easy once you have some direction. Like any good business, you have to start out with the right idea, and avoiding any spending will limit you to providing services for other people. You won’t be able to sell physical products, as this requires some capitol, but you will be able to offer digital goods, along with anything which you already have the resources to create. For example, if you are skilled with computers, getting into the field of IT support could be a great place to start, as it won’t cost anything to perform your work. There are loads of options like this available, and they are often some of the easier ventures to run, too. Of course, most people won’t be able to go it alone when they are working on their business. Instead, to make sure that you have the best chances of success, you will need to work towards having people around to help. Thankfully, there are almost certainly going to be people out there who are willing to work on a freelance basis, only being paid for the work they do. Along with this, if you’re willing to give up some of the company, you may be able to have people work for free until the business is large enough to give them a salary. This is harder to persuade people to do, but will show that they are dedicated if they are able to do it. Use The Internet As Your Guide. Finally, as the last area to consider, there will always be certain aspects of your business which will cost some money. You will have business rates, insurance, and cheap web hosting to consider, giving you a lot to find as inexpensively as possible. To help with this, the internet provides an excellent resource, giving you the chance to search for other people’s recommendations to save as much money as possible. In a lot of cases, you will be surprised as to just how much can be saved when you go down a route like this. Of course, though, you have to make sure that you’re getting what you need for your money. 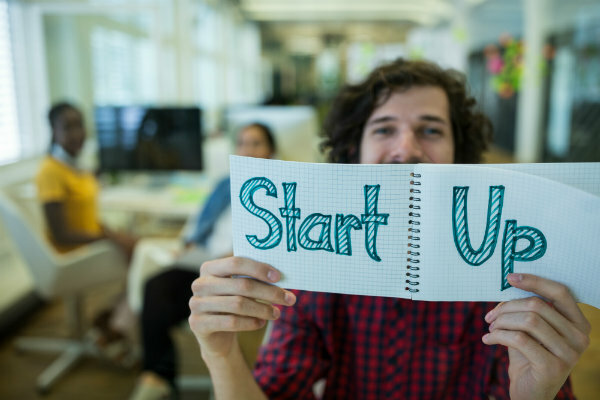 Hopefully, this post will inspire you to start working harder towards starting your first business. While doing something like this for free will be hard, it isn’t impossible. Once you have some money behind you, though, it will be worth investing to make sure that you can continue to grow.